This is no ordinary book on presentations. While it covers all you need to know about researching your material, structuring your message and designing your visual aids. It also shows you how to develop your confidence and gives you tips on how to deliver. Few books deal with the psychology of communicating. This book will introduce you to personality types and you will learn why some people want you to be short and snappy why others will want to ‘connect’ with you and others will want precise, accurate, detailed information. This book gives you the secrets that professional speakers use to impact dramatically on the audience and make a memorable impression. It has a section on how to appear quick-witted, spontaneous and professional. Whether you are a novice or a seasoned pro, this book gives you the tips and techniques that will take your presenting to the next level. 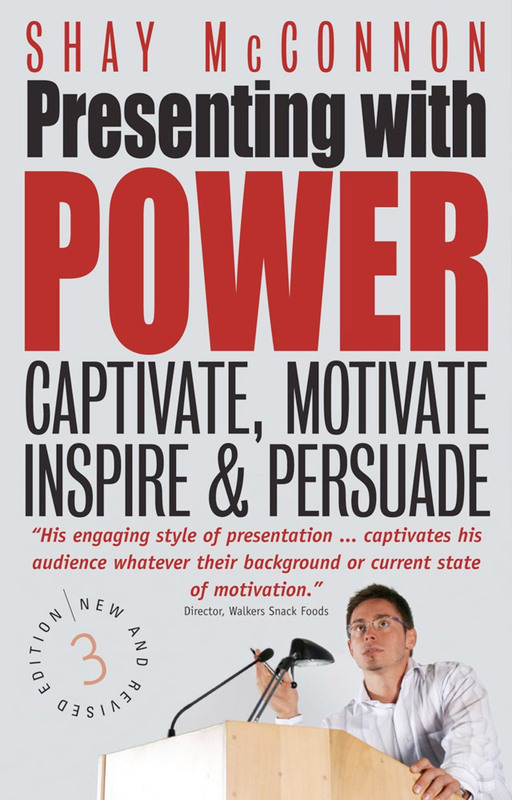 It is a practical, no nonsense, easy to read book that is full of practical advice for people who want to enjoy presenting powerfully.